Apple buying Beats: It's about streaming. Why Would Apple Buy Beats? Apple has two big problems when it comes to music. One issue is old and relatively minor; the other is new and urgent. The old problem is that, despite some improvements, its headphones have never been all that good, thanks to their poor fit and tinny bass. The newer, more pressing problem is that streaming services like Spotify and Pandora are eating Apple’s lunch with music fans. So the news that Apple is closing in on a $3.2 billion deal to buy Beats Electronics, the headphone maker and streaming service founded by Dr. Dre and Jimmy Iovine, fundamentally makes a lot of sense. Already the Financial Times is talking about how Apple is trying to revive some of the cool that died with Steve Jobs by buying a younger, fresher brand. But I think Apple’s motivation is probably more straightforward—and a bit less desperate-sounding—than that. Apple’s iTunes store is still the Mecca of music downloads. 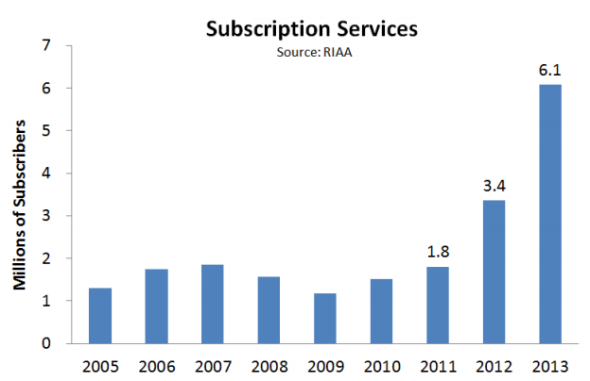 But according to the RIAA, downloads are declining in the U.S. 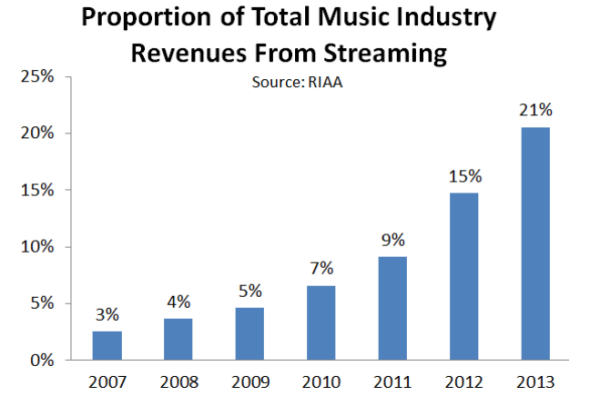 Meanwhile, streaming services such as Spotify, Pandora, Rdio, and Rhapsody are on a tear. They now make up 21 percent of domestic music industry revenues. Subscription services such as Spotify and the Beats platform that debuted this year have grown especially rapidly, more than tripling their users since 2011.
iTunes Radio, which launched in September with much fanfare, so far only sees about 1%-2% of listeners clicking the buy button, while overall music downloads have been declining upwards of 15%, according to several label executives. At the same time, Apple is finding that its influence over labels is slipping as YouTube, Spotify, Pandora and other streaming services gather momentum. One independent label said that iTunes’s share of the label’s revenue has eroded from more than 70% in 2012 to about 50% today. According to Billboard, Apple was already considering a few drastic options, including an on-demand service that would compete with Spotify and Beats. The problem is that creating such a streaming platform would have required painstaking negotiations with individual record companies, which would have been aware of Apple’s need to catch up with the competition. Once it got those deals wrapped up, Apple would then have to play catch-up signing up subscribers. But buying a streaming service like Beats—wrapped together with a ridiculously popular headphone brand that might replace its own dinky gear—appears to make far more sense, especially for a company that considers cash no object. Some will take the deal as yet another sign that Apple is having trouble innovating in-house. I think it’s more just a sign that they’re bowing to the current state of the music industry. 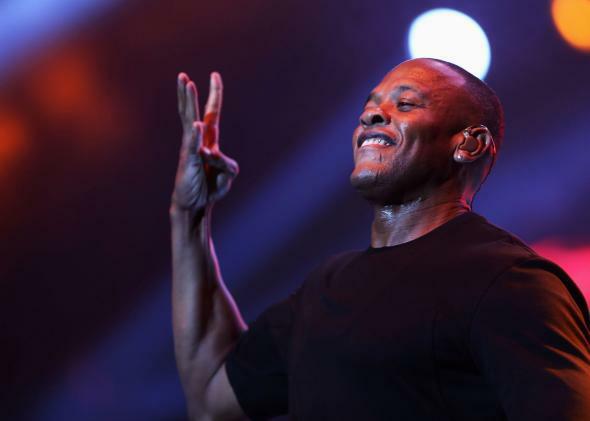 In any event, I think we can all agree there’s a more important question here: Will this deal make Dre hip-hop’s first billionaire? If so, Diddy’s gonna be pissed.